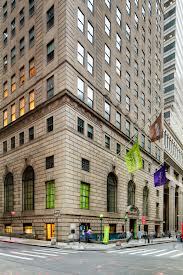 The Museum of American Finance was founded in 1988 to illustrate the role of finance in American history. The museum’s permanent collections include priceless antique stocks, bonds, and currency; historic documents and photographs; and equipment once used on Wall Street. By Car: Limited parking available nearby on Exchange Place (between Broad and William) and on Pearl Street (between Coenties and Hanover).